The continued absence of private television channel Geo News from television screens in different parts of Pakistan has prompted the Pakistan Electronic Media Regulatory Authority (PEMRA) to take strict notice of the mysterious circumstances in which the channel has been so suspended. 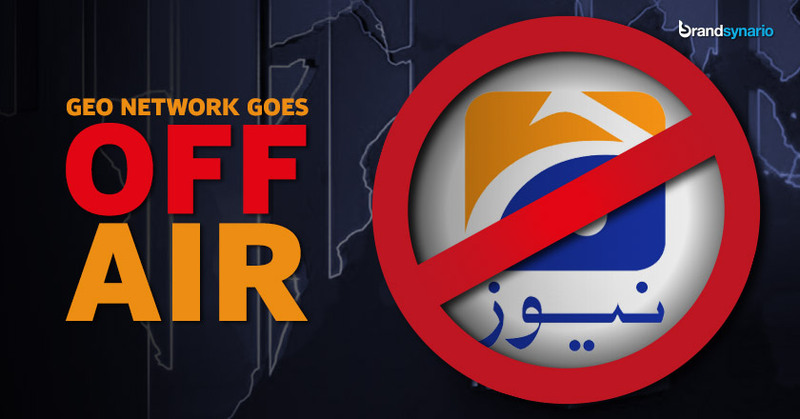 Geo News, a private news channel owned by the Jaang media group, has faced censor in the past, and viewers have often complained that it is not available in different areas such as Cantt and Defence in Lahore. However in the past few days, it has been observed that Geo News along with its sister entertainment and sports channels (Geo entertainment, Geo Kahani and Geo Sports) have all disappeared from television screens all over the country. “No orders have been issued regarding the channel closure or channel positioning by PEMRA” it went on to add. Pakistan Today has also observed that the channel is unavailable in areas of Lahore such as Model Town, Cantonment, Defence, and other cities such as Faisalabad, where there are complete blackouts of all of the Jaang group’s television channels. It is also missing in Karachi from areas such as Gulistan e Jauhar and Cantt. The transmissions are, however, available in other parts of the country, and it is cable operators who have cut people off from being able to view the television channels in question. Why the cable operators would choose to do so is still a topic under speculation. “PEMRA will initiate strict action against the cable operators not complying with PEMRA rules. All cable operators must ensure transmission of PEMRA licensed channels without any disruption and with immediate effect” read the PEMRA statement regarding the apparent blackout. When contacted, some of the cable operators plead ignorance while others said that it may be a technical issue on the part of Geo or even on their end. However, no clear answer was available regarding the blackout. On Sunday, Interior Minister Ahsan Iqbal had also expressed concern over the suspension and had assured that there would soon be a high level meeting to discuss the topic to get to the bottom of the issue. provide me the complain number . for geo kahani and geo har pal geo blockedge we will complain there. you also do some thing for these chnnels. mere ghar wale jb tk geo kahani nhe daikhte udas rehte hain.